Australia is the sixth largest country in the world and its mainland is the world’s smallest, flattest continent. Australia has a coastline stretching almost 50,000 kilometers and is home to over 10,000 beaches, more than any other country in the world. Most popular destinations are the popular icons including the Red Centre, Kakadu National Park, Great Barrier Reef, Ningaloo, Kimberley, Great Ocean Road, Gippsland, Tasmanian Wilderness, Freycinet, Kangaroo Island, Flinders Ranges, Fraser Island, Byron Bay, Blue Mountains, Namadgi National Park, Australian Alps and Sydney Harbour. For the year 2009-2010, about 3 million tourist visas were granted both onshore and offshore. Visitors also come to Australia to visit friends and relatives and for other short-term non-work purposes. 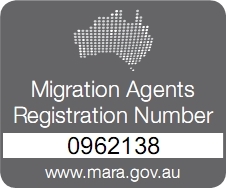 There are specific visas available for tourists, business visitors, for the Working Holiday and Work and Holiday programs, retirees, for people travelling to Australia for medical treatment and other purposes. We can help you get the most appropriate visa for your need.